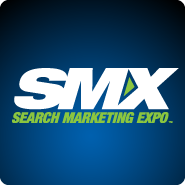 It’s that time of the year again — SMX East 2014 is here! Tomorrow I’ll be embarking back to New York City to join hundreds of other search marketers for my third year straight to learn the latest in our fields. The agenda is pretty exciting this year (as it has in always been) with lots to learn from all of Google’s latest changes (both organically and paid) to the latest on the social media front. This only scratches the surface. Stay tuned for some interesting tidbits I’ll surely share. And if you’re going to be in the NYC area, be sure to connect with me either at the conference or outside.